I tried an experiment in setting boundaries while on vacation in Iceland recently. The Icelandic saying “þetta reddast” (which translates into English as “Don’t worry — it will work out fine”) encouraged me that the experiment could actually be successful. In fact, it worked so well that it has now become my practice every day: Going offline completely while enjoying a fun experience. Unencumbered by distractions from the virtual world when doing something intended for fun in the real world, I discovered, it’s possible to actually enjoy the experience fully. That seems obvious. But it took unplugging completely to realize how much we can miss when we don’t put boundaries around the time we spend online and offline. 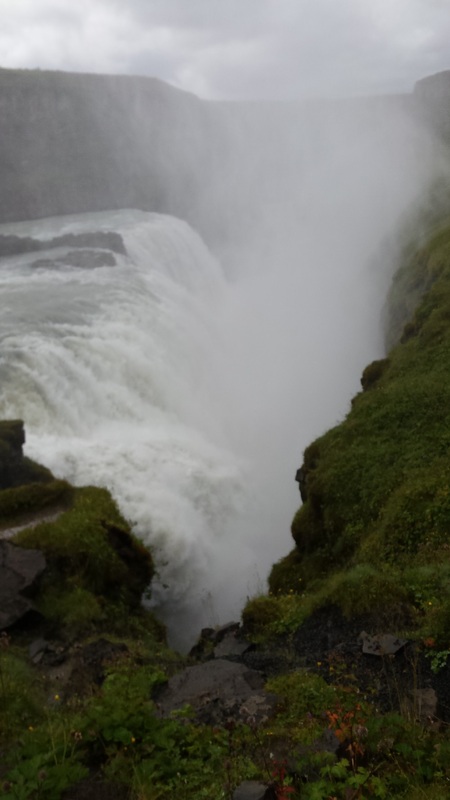 While in Iceland, I chose not to check my email at all — not even once — so I put automatic messages on my personal and professional accounts saying that I was “unplugging for greater well-being” but that in a true emergency, people could call or text my cell phone. I never used my cell phone to go online, but only to check for emergency messages (thankfully, there were none). My laptop stayed at home, and I resisted the urge to use hotel computers. That was a challenge for someone like me — a news junkie who works in digital media. At first, I worried that I was missing out on too much. But I learned that what I could experience offline when fully present was greater than anything I missed online. Many people on the day tours I took posted their vacation photos in real time, and several expressed astonishment that I would neglect to put my trip photos on Facebook immediately. Was it really so bad to simply be where I was without posting images of it during the trip? Even now, I haven’t shared most of my photos on social media, due to privacy boundaries I’ve set. People who know me personally can see the photos, but there’s no need to make them public. A fun experience is best enjoyed just for its own value — not as a way of trying to impress others online. Is it really more exciting to stop watching a basketball game to tweet the current score than it is to keep watching the players while the game is in progress? Does a dessert taste sweeter when you post a photo of it on Instagram or Pinterest before eating it at a restaurant? Letting go of the urge to chronicle fun experiences while we’re having them frees us to enjoy them to the fullest. A woman I enjoyed talking to on one tour confessed how much she regretted checking her work email on our bus. As a result, she said, she learned of a situation she could do nothing about from afar but that worried her a lot. After telling me that she wished she hadn’t checked her email, she spent more than an hour emailing coworkers about the situation, missing all the wondrous scenery we drove through while her eyes were down on her smartphone screen. I was tempted to go online to check the news while we drove, but when I saw moss-covered lava fields and striking mountains outside, I was glad to stay offline. So what if we miss out on some information as soon as it’s posted online? We can choose to be flooded with information that runs across our screens and our minds constantly, or we can choose to spend some time offline reflecting on the information that matters most to us. Setting boundaries on how we consume information empowers us to retain it and use it well in our lives. By the end of my trip to Iceland, I had learned the beauty of “þetta reddast” and suspected that beautiful attitude of not worrying contributed to Iceland’s spot as one of the world’s happiest nations (#3 on the World Happiness Report for 2017). Now that I go offline to fully enjoy a fun experience back home in the United States, I’m certainly happy about it. What about you? The next time you’re trying to have fun, try setting your computers and mobile devices aside and see what happens. You may be surprised by how much fun you’ll have!